Making modest changes in lifestyle can reduce the risk of developing type 2 diabetes by 58 percent. Patchogue, NY - September 25, 2013 - Suffolk County this week launched its new diabetes prevention program, a CDC-led program that encourages healthy eating, physical activity, and lifestyle changes to help participants achieve the goals that lead to the prevention or delay of a diabetes diagnosis. The National Diabetes Prevention Program is free of charge for all Suffolk County residents who are at risk for diabetes. The program meets one hour per week for 16 weeks, followed by at least six monthly follow-up sessions. The sessions cover healthy eating, physical activity, and lifestyle changes to help participants achieve the goals that lead to the prevention or delay of a diabetes diagnosis. Participants work with a trained lifestyle coach in a group setting. The National Diabetes Prevention Program is based on the Diabetes Prevention Program research study led by the National Institutes of Health. The study showed that making modest behavior changes, such as improving food choices and increasing physical activity to at least 150 minutes per week, helped participants lose five to seven percent of their body weight and reduce the risk of developing type 2 diabetes by 58 percent in people at high risk for diabetes. Pre-registration for the Diabetes Prevention Program is required. Registration remains open for each class until the second session. Residents who have risk factors for diabetes and feel they may be eligible for the program, may call 631-853-3162. More information is available on the county website: www.suffolkcountyny.gov/health. 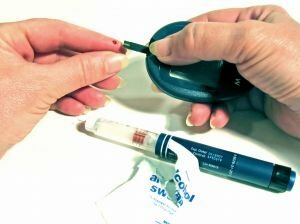 Subject: LongIsland.com - Your Name sent you Article details of "Suffolk County Rolls Out CDC-Led National Diabetes Prevention Program"